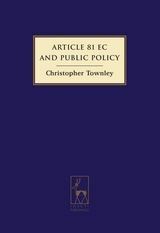 This book asks whether the current push to increase uniformity in substantive and procedural competition policy and enforcement in Europe, as well as in related institutional structures, is desirable. It focuses on European Union (EU) competition policy and enforcement (related to Articles 101 and 102 TFEU and the merger rules), the equivalent rules in the Member States, and the relationships between these different legal orders. Uniformity has many benefits; yet, the advantages of diversity are also legion, enabling more policy experimentation and innovation; and improving the ability to accommodate national preferences. Contrary to the overwhelming view of academics, practitioners and regulators in this area, the book argues that uniformity is insufficient and examines ways of achieving a better mix of uniformity and diversity (the EU's motto is 'United in Diversity'). 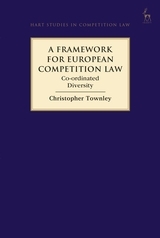 To achieve this better mix, the book offers a new framework for European competition law: Co-ordinated Diversity. 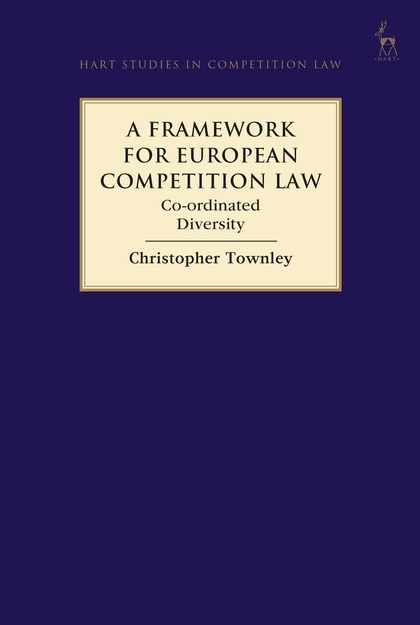 Finally, this book discusses whether Co-ordinated Diversity fits with the current legal order in the EU, as well as the EU constitutional settlement more generally, and suggests some ways that it might be made compatible with this order with relative ease. The book's impact could be significant: changing the results in individual cases; the way cases are argued; and what information is relevant. More importantly, it builds the theoretical foundations for fundamentally altering the way in which the EU and the Member States' competition authorities interact, allowing space for disagreement and uncertainty. The aim is to improve the effiiciency and effectiveness of competition policy-making and enforcement in Europe. It should also increase the legitimacy in this field (rebalancing towards the Member States). Co-ordinated Diversity provides a new way of seeing the EU that better blends difference, when this is demanded, with uniformity and its benefits, as necessary. A timely and ambitious work, this book will be read with interest by all practitioners and academics interested in EU competition law, as well as the related fields of political science and economics.